Iran and Saudi Arabia, which back opposite sides in Syria's war, are among more than 30 countries slated to attend a peace conference next month, diplomats have said. The so-called Geneva II conference, a follow-up to a 2012 meeting, is aimed at mapping out a political transition to end nearly three years of fighting that has killed more than 120,000 people and displaced millions. But the January 22 meeting will actually be held at the lakeside Swiss city of Montreux because of a shortage of hotel rooms in Geneva, which will be hosting a luxury watch fair, a Western diplomat said on Thursday. "There are 32 countries invited, but that number may increase because everyone wants to come," an Arab diplomat told AFP. The diplomat said Germany and Italy would be among other nations to attend, along with the UN Security Council permanent members - the US, Britain, France, Russia and China. Most countries will be represented by their top diplomats. Shia Iran is a key ally of President Bashar al-Assad's regime, while Saudi Arabia has strongly backed the Sunni-led rebels. "Each minister can speak for five minutes," the Arab diplomat said. Afterwards, many of the foreign ministers will attend the World Economic Forum in Davos, which runs from January 22 to 25. The regime and the opposition will each send delegations to the meeting, and will hold bilateral talks hosted by UN-Arab League envoy Lakhdar Brahimi on January 24 in Geneva. "Each delegation will be composed of nine members and both the regime and the opposition should present their lists to the UN by December 27, but it is not certain they will respect this date," the Arab diplomat said. The top military commander of the Western-backed Syrian opposition is in Turkey for talks with rebels, a spokesman said, denying reports that he had fled Syria. American newspaper The Wall Street Journal earlier reported that General Selim Idriss, the head of the Free Syrian Army's Supreme Military Council, had been forced to flee after Islamic Front, a rival rebel group, overran key FSA bases near the border with Turkey. But a spokesman for the Syrian National Coalition said Idriss was in Turkey holding talks with both FSA rebels and also the Islamic Front, which has emerged as the biggest Islamist rebel grouping in Syria. "General Selim Idriss is in the south of Turkey on the border of Turkey and Syria," SNC spokesman Khaled Saleh told AFP news agency in Istanbul on Thursday. The chief UN chemical weapons inspector, Ake Sellstrom, has handed his final report on the alleged use of chemical weapons in Syria to Secretary-General Ban Ki-moon. The report stated that experts found evidence of probable chemical weapons use in five out of seven attacks investigated: in Ghouta, Khan al-Asal, Jobar, Saraqeb and Ashrafieh Sahnaya. 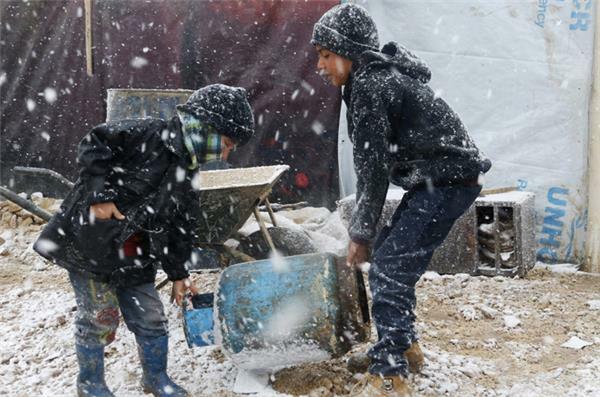 A powerful winter storm sweeping the eastern Mediterranean this week is causing mayhem across the region and inflicting extra misery on Syrians convulsed in civil war and refugees who have fled the fighting. The storm, named Alexa, is expected to last until Saturday, bringing more snow, rain and freezing temperatures to large swathes of Turkey, Syria, Lebanon, Jordan, Israel and the Palestinian territories. Among them was Khalil Atma from Sanameen in southern Syria who was shivering with her two daughters in a flooded, unheated trailer. "We have come from one tragedy to another," she said. Syrian authorities have freed for "humanitarian reasons" 366 detainees from Aleppo prison in the north of the country which is under rebel siege, state news agency SANA reported Friday. The Syrian Observatory for Human Rights said a first group of 10 prisoners were freed Thursday and that more would follow, adding that most of the prisoners were convicted criminals. 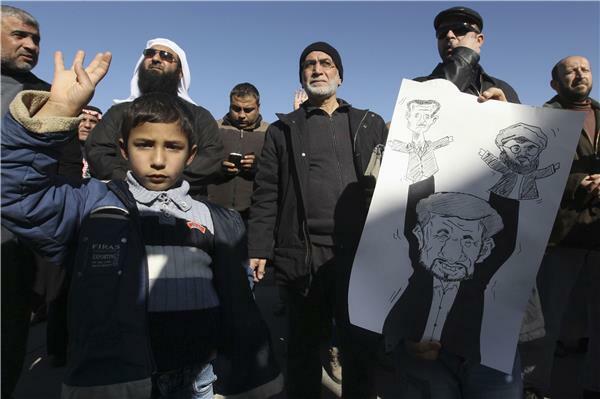 Al-Qaeda-affiliated Al-Nusra Front and other Islamist rebel groups fighting to topple President Bashar al-Assad have laid siege to the prison for the past eight months. "The authorities have released 366 detainees from Aleppo's central prison... for humanitarian reasons due to the siege imposed by terrorists," SANA said, referring to the rebels. Observatory chief Rami Abdel Rahman told AFP by telephone from Britain that conditions inside the prison are "horrific" and prisoners are being freed due to outbreaks of disease, including tuberculosis. 10 people. Others will gradually be set free," he said. The Observatory said the Red Crescent was also taking in food rations, medicine and clothes into the prison on the outskirts of Aleppo, Syria's second city and former commercial hub. Syrian troops loyal to President Assad launched a broad offensive on Friday aimed at expelling rebels from the town of Adra, northeast of Damascus, state news agency SANA said. The industrial town, the scene of fierce fighting for three days, is strategically located on a main road into the capital. The fighting follows a string of army victories against opposition fighters, particularly in Damascus province, where rebel positions have been under siege for more than a year. "Our armed forces started this morning to stage a broad offensive on Adra, to assault the terrorists' positions after encircling the area," said a military source, quoted by SANA. Assad's regime has branded all rebels and dissidents as "terrorists" ever since the outbreak of a revolt in March 2011. Friday's fighting comes two days after Islamist rebels attacked security and army positions, as well as pro-regime militiamen, in Adra. The Islamic Front umbrella group of fighters has taken control of a cache of machine guns and ammunition intended for Syria's Western-backed rebels, the Syrian opposition confirmed Friday, demanding that the weapons be returned. Syrian National Coalition official Monzer Akbik told reporters in London that it still wasn't completely clear how a new alliance of hardline Muslim fighters came to control warehouses containing rebel machine guns and ammunition at the Bab al-Hawa border crossing between Syria and Turkey, but they did. On Wednesday, the US and Britain both announced they were suspending deliveries of non-lethal gear to rebels in northern Syria following news of the warehouse takeover. Akbik said General Salim Idris, the Free Syrian Army commander, was in southern Turkey meeting with members of the Islamic Front to demand the return of the weapons. There are conflicting stories over how the Islamic Front won control of the warehouses. The Islamic Front denies that it took the weapons by force, saying it was responding to a call for help from the Free Syrian Army after the group came under attack from unknown gunmen. 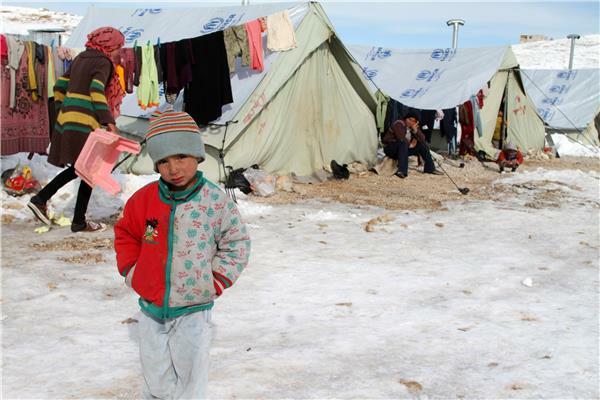 Syrian refugees in the Lebanese town of Zahle are suffering under harsh winter conditions. "Believe me, the situation is so bad, we need diesel, tents. No one offered us any help," said Omar, one of the refugees. More than 800,000 Syrians have fled to Lebanon and the demand for housing has outpaced the supply. 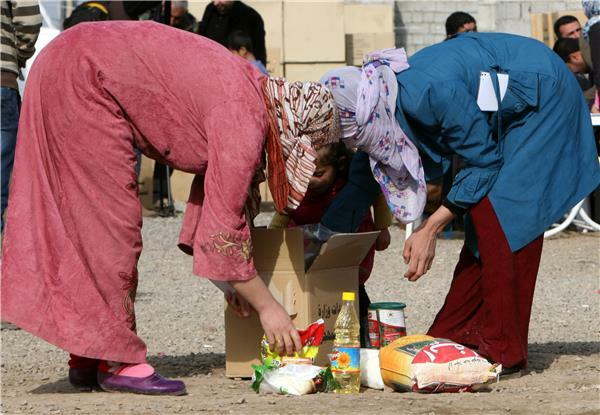 Families are living in makeshift camps without proper food or shelter. Oum Mohammed, a mother of nine, said she does not even have blankets to keep her children warm. The storm could last until Saturday and temperatures are expected to keep dropping. Danish and Norwegian ships can safely ferry up to 500 tons of Syria's most dangerous chemical weapons out of the strife-torn country, a Scandinavian expert has said. Bjoern Schmidt said on Saturday that sealed containers full of chemical compounds, which when mixed can create lethal Sarin and VX gases, would be loaded at opposite ends of the two cargo ships. The Danish chemical expert said the exact quantity of chemicals to be taken out of Syria was unknown. Commander Henrik Holck Rasmussen, of Danish frigate HDMS Esbern Snare, said two cargo ships would go to Syria as many times as needed to pick up all chemical weapons. The Danish warship and a Norwegian frigate will act as escorts. Both were docked in Cyprus along with a cargo ship. The second cargo ship had yet to arrive. 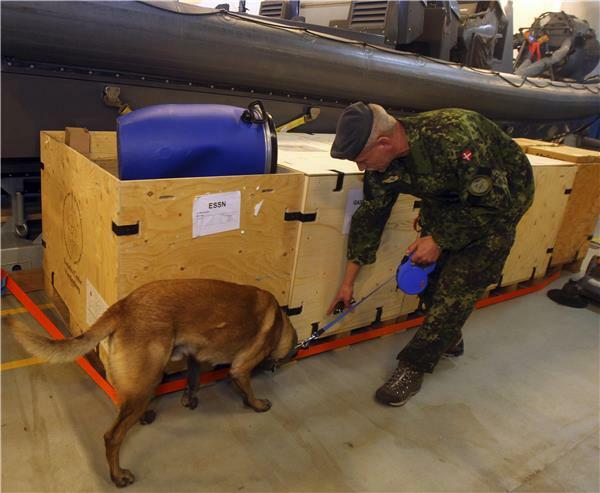 A Danish-led task force is being readied in Cyprus to remove the first part of Syria's deadly chemical stockpile, due before the end of this year. Under a deal worked out between the US and Russia, Syria will relinquish control of deadly toxins which can be used to make sarin, VX gas and other lethal agents. Denmark and Norway plan to use two cargo vessels to transport the cargo out of the Syrian port city of Latakia, escorted by two frigates of their respective navies, and deliver it to the Organisation for the Prohibition of Chemical Weapons (OPCW) for destruction. 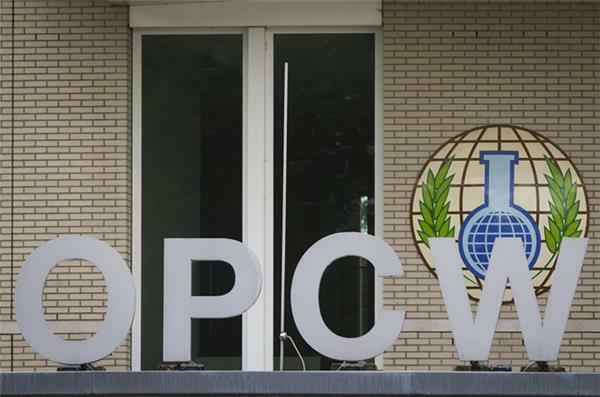 The deadliest chemicals in Syria's stockpile are due to be shipped out of the country by the end of the year under an agreement between Damascus and the OPCW, but the ongoing conflict is complicating efforts to meet that deadline. Commodore Torben Mikkelsen of Denmark, Commander of the combined task force said the timing was related to a lot of other uncertainties, but his team was preparing to be ready as fast as possible. A rebel commander has frozen to death in the bitter cold that has swept Syria this week, a monitoring group has said. The Syrian Observatory for Human Rights said on Saturday the body of the rebel commander, who was on his way from the north-western province of Idlib to Homs in central Syria had been found. "He died during the snowstorm," the Observatory said. Observatory director Rami Abdel Rahman said the body of the unnamed commander, in his 40s, who was a member of the Suqur al-Sham brigades, was frozen and there were no signs of gunshots or other wounds. The Britain-based Observatory said that the frozen bodies of two men in their 30s were found in Homs province on a road to neighbouring Hama province. It could not say whether they were rebels or civilians. 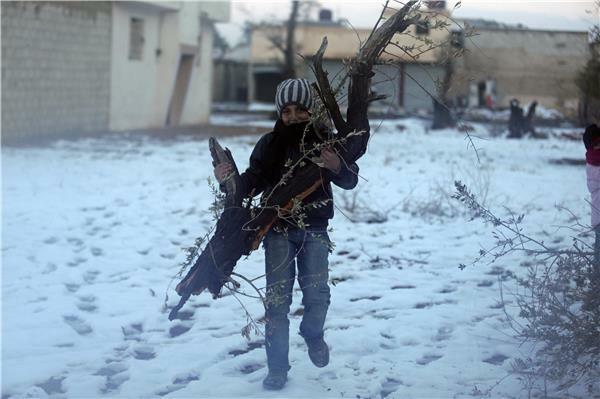 The icy weather did not stop the fighting on a key front at Adra, east of Damascus. Battles have raged there for four days, since rebels launched an offensive aimed at capturing one of the main entrances to the capital. The army hit back with a broad counter-offensive, and on Saturday, a security source in Damascus told AFP the army's operations were continuing. Meanwhile in the northern town of Azaz, the Islamic State of Iraq and the Levant (ISIL) freed dozens of Kurdish Syrians on Saturday, they but refused to release 73 others, the Observatory said. ISIL kidnapped the Kurds on Friday and among those still in captivity were two women, the head of the monitoring group said. 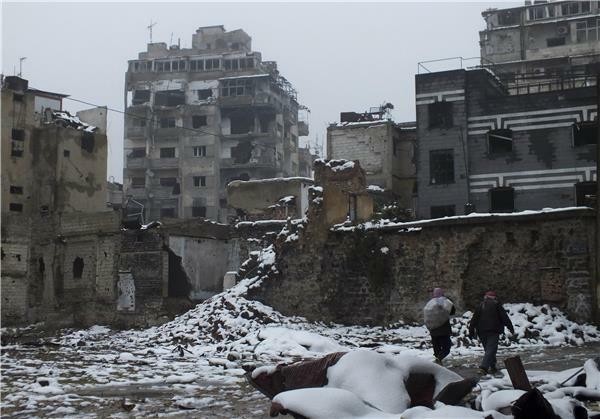 UN officials have arrived in the Syrian capital to discuss how to help the refugees cope with the harsh winter. Most of those displaced are living under rough conditions in temporary shelters. The UN says they need urgent help. 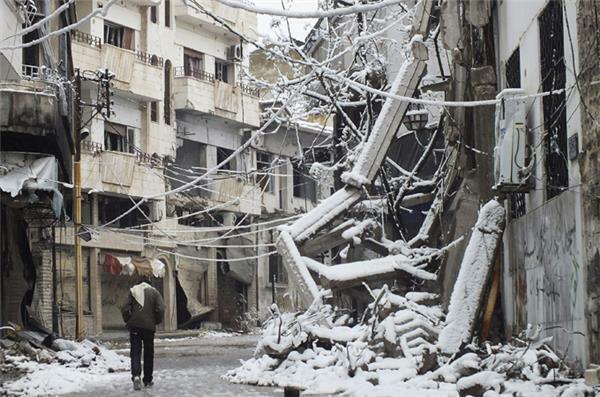 "I'm extremely concerned with what is happening as a result of winter, the impact that it is having on Syrians - not just here, but in neighbouring countries," said the UN's Valerie Amos. "So this is an opportunity for me to talk to the government about some of the issues that we have been addressing together. I saw the foreign minister and the deputy foreign minister, we were able to talk about some of the improvements that we have been able to see in terms of our cooperation." At least 22 people, including 14 children, have been killed in regime air raids on rebel districts of the northern city of Aleppo, a rights group has said. "An attack using explosive-laden barrels over the Sakhur, Ard al-Hamra and Haydariyeh districts killed 22 people, among them 14 children and an 18-year-old boy," said the Britain-based Syrian Observatory for Human Rights of the air raids in the eastern district of Aleppo on Sunday. This video, uploaded to YouTube purportedly shows the aftermath of aerial attacks using barrel bombs that targeted Aleppo on Sunday. The United Nations appealed for $6.5 billion for Syria and its neighbours on Monday to help 16 million people next year, many of them hungry or homeless victims of a 33-month-old conflict that has no end in sight. The Syrian appeal accounted for half of an overall funding plan of $12.9 billion to help 52 million people in 17 countries, announced on Monday by UN emergency relief coordinator Valerie Amos at a meeting of donor countries in Geneva. "This is the largest amount we have ever had to request at the start of the year," she told a news conference, referring to the worldwide appeal. She said the money requested for Syria was the largest U.N. appeal ever for a single crisis. "The increasing number of internally displaced people and refugees is generating greater needs across all sectors and straining the capacities of neighbouring countries, with profound regional consequences," the appeal said of Syria. US officials may meet commanders from Syria's Islamic Front this week, the State Department said, after the grouping took control of weapon depots belonging to the Western-backed opposition. "State Department officials might be meeting with representatives of the Islamic Front this week," State Department spokeswoman Jen Psaki said on Monday. She said that did not signify a change in US support for the Syrian National Coalition, the moderate political opposition. The Islamic Front alliance, a union of six major rebel groups, has overshadowed the more moderate Free Syrian Army brigades, which are led by the Supreme Military Council (SMC) and backed by Western and Arab powers. 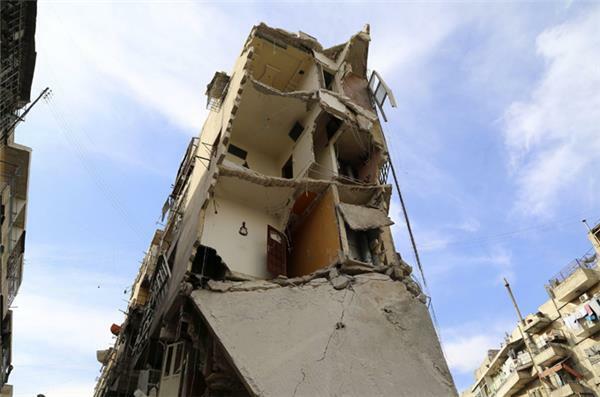 Activists say regime warplanes bombed opposition-held villages in Aleppo for a fifth straight day on Wednesday. Meanwhile, diplomats said Russia blocked a US-drafted UN Security Council statement condemning the government's increasing military offensive on Aleppo. 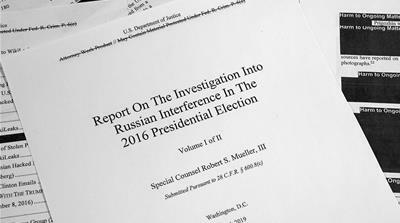 Diplomats said Russia wanted all references to the regime stripped from the statement so the US decided to drop it. The statement would also have condemned violence by all parties in Syria and expressed deep concern at the escalating level of violence in the Syrian conflict, including the use of Scud missiles and "barrel bombs" in Aleppo. Russia blocked a United Nations Security Council statement that would have condemned the government of Syrian President Bashar al-Assad for recent missile and "barrel bomb" attacks on civilians, including children, UN diplomats said. The council's failure to approve the US-drafted statement elicited an angry reaction from Washington. "We are very disappointed that a Security Council statement expressing our collective outrage at the brutal and indiscriminate tactics employed by the Syrian regime against civilians has been blocked," said Kurtis Cooper, a spokesman for the US mission to the UN. 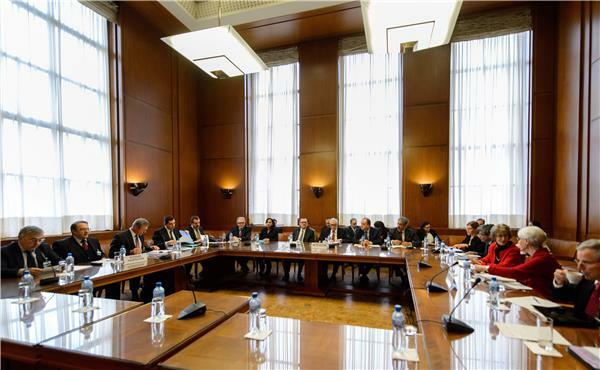 The UN-Arab League's Syria envoy Lakhdar Brahimi met on Friday with US and Russian delegations to try to agree which nations should be invited to Syria peace talks in Geneva next month. Russian Deputy Foreign Ministers Mikhail Bogdanov and Gennady Gatilov, whose country is Syria's main ally, and US Under Secretary of State for Political Affairs Wendy Sherman were meeting with Brahimi in Geneva. They also planned to expand the meeting to include diplomats from Britain, China and France - the other three permanent members of the 15-nation UN Security Council - and from Syria's neighbours, who have been struggling to cope with the conflict and the more than 2.3 million Syrian refugees. 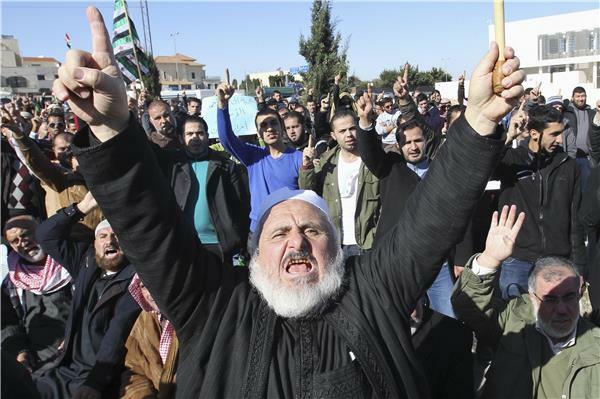 A leading international human rights organisation urged Lebanon on Friday to rein in sectarian tensions that have been on the rise amid a spillover of the civil war next-door in Syria. The commander of Syria's main Western-backed rebel group has urged all opposition fighters to join ranks in the struggle against President Bashar al-Assad's forces, pledging to do everything he can to stave off rebel infighting. In remarks broadcast on Friday by a pan-Arab satellite television Al-Arabiya, General Salim Idris said all rebels in Syria who believe in the "goals of the revolution" are "our brothers." Idris spoke after a meeting late on Thursday in Istanbul with US Ambassador to Syria Robert Ford. His comments suggested he was trying to limit the damage from deadly infighting among moderate and extremist rebel factions ahead of a peace conference for Syria scheduled to be held in Switzerland in January. Syrian army shelling of a mosque in the central city of Homs killed a prominent cleric on Friday, while rebels in Aleppo to the north made a fresh advance, a monitoring group said. "Two people were killed in shelling by regime troops of the Raees mosque in the Waar neighbourhood" of Homs city, said the Syrian Observatory for Human Rights. The group's director Rami Abdel Rahman said one of those killed was Sufwan Mashraqa, a Sunni Muslim cleric who was leading Friday prayers in the mosque. Mashraqa was a former head of the city's department for religious affairs. Amateur video distributed by activists showed the cleric giving a sermon. When the sound of shelling begins, scores of worshippers are overtaken by panic. Waar is a majority Sunni district of Homs and is located near a small section of the city still under rebel control. Al Jazeera's Omar Al Saleh reports from Deraa, where some children remain determined to get a basic education despite the ongoing conflict. The leader of the most powerful rebel group in Syria, Ahrar al-Sham, says he won't recognise any agreement reached in the Geneva conference planned for January. Asked if his group would abide by an agreement, Hassan Aboud said: "Whatever comes out of it, is binding only on the Syrian National Coalition. As far as we are concerned, we will continue the revolution until we restore our rights and our dignity." The full interview, carried out by Al Jazeera's Sami Zeidan at a secret location inside Syria, will air on Talk to Al Jazeera on Saturday at 04:30GMT. 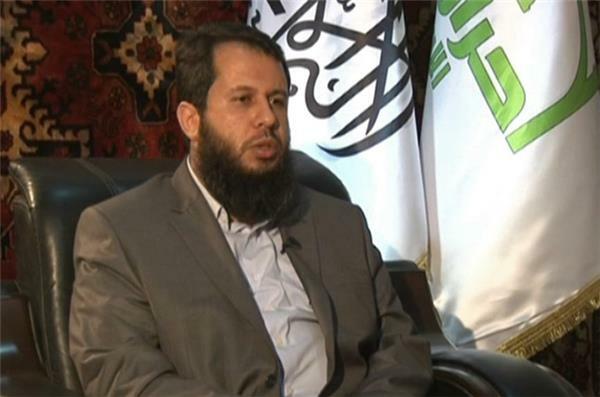 Ahrar al-Sham is well-armed, with about 20,000 fighters. Founded two years ago, it's a Salafist, Sunni group which wants to implement Islamic law in Syria. the city of Aleppo despite days of relentless barrel-bombings of opposition-held areas in the northern city. Two activist groups - the Aleppo Media Center and the British-based Syrian Observatory for Human Rights - said the opposition forces captured Kindi hospital on Friday. The hospital is near Aleppo's besieged central prison. Syrian government forces have allegedly killed hundreds of people in Aleppo in air strikes that were either "criminally" indiscriminate or "deliberately" aimed at civilians, Human Rights Watch (HRW) said on Saturday. "Government forces have really been wreaking disaster on Aleppo in the last month, killing men, women, and children alike," said Ole Solvang, senior emergencies researcher at HRW. The HRW statement said it documented dozens of warplane strikes and helicopters dropping highly destructive, dynamite-filled "barrel bombs" on residential and commercial areas in the city. The New York-based organisation cited the Syrian Network for Human Rights as saying 232 civilians were killed between December 15-18. HRW said the attacks, which targeted both Aleppo city and its province, showed "government forces had used means and methods of warfare that... could not distinguish between civilians and combatants, making attacks indiscriminate and therefore unlawful". 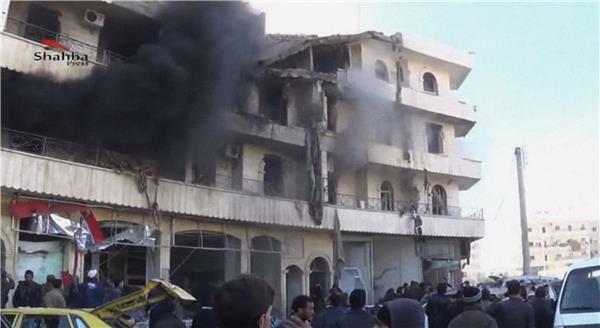 The organisation said schools were also targeted in the latest round of bombings, and quoted a field doctor as saying at least 14 civilians, including two teachers, four children and one woman, were killed in an explosion at a school in rebel-held east of Aleppo. "When I reached the Taiba school I saw that a rocket had struck just outside the gate of the school. Several people who were standing next to the gate were killed," HRW cited the doctor as saying. "One 11-year-old boy, our neighbour, had been cut into three pieces. 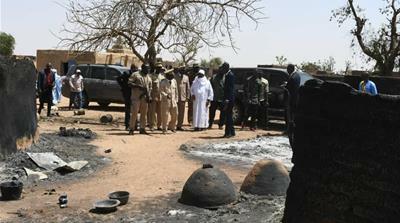 I also saw the guard and three or four teachers who were killed." HRW also said opposition fighters fired rockets and mortar rounds into civilian areas in government-controlled parts of Aleppo. The body of a British doctor who mysteriously died in a Syrian jail was flown back to London on Sunday ahead of an autopsy to determine how he died, his family's lawyer said. The body of Abbas Khan arrived at London's Heathrow airport early Sunday after being flown home from Beirut. The Syrian government claims the 32-year-old orthopaedic surgeon, who was arrested last year after travelling to Aleppo to treat wounded civilians, committed suicide. Activists say more than 20 people were killed and dozens injured on Sunday in heavy government bombing on the neighborhoud of Al Sakhour in Aleppo city. 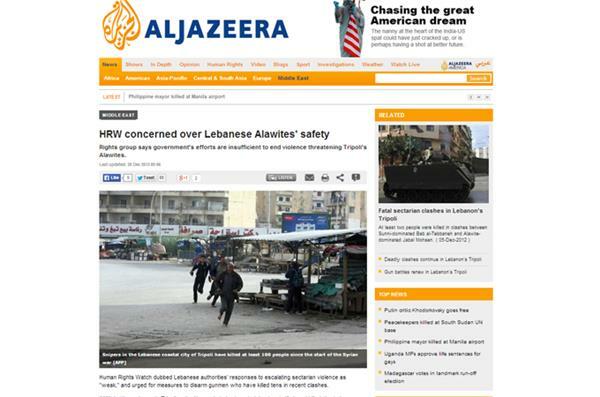 Al Jazeera cannot independently verify the source of the video. Activists say dozens were killed and injured on Sunday in the Masaken Hanano neighborhoud in Aleppo city. The body of a British doctor who died while in Syrian government custody has been returned to the UK. Abbas Khan's body was to be transported to a coroner's court in London on Sunday for a post-mortem examination. The surgeon from London died days before he was apparently due to be released from Syrian government detention. His family blames the Syrian government for his death, and a senior British official has also said that Khan was "in effect, murdered". 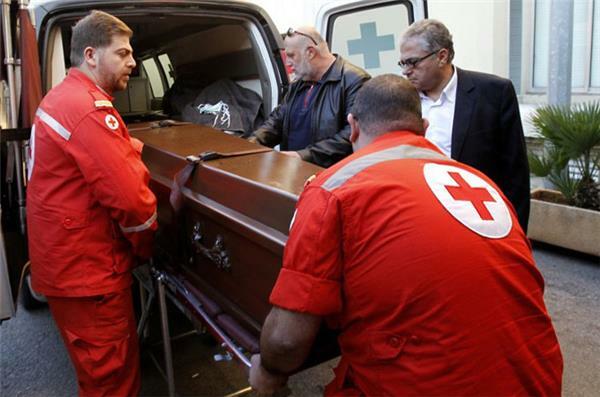 Syrian authorities have said the doctor committed suicide - a notion the family rejects. In a letter to the family, Prime Minister David Cameron criticised the Syrian regime for its "despicable" treatment of the doctor and refusal to work with the British government to release him. "Abbas's death is a sickening and appalling tragedy and it is right that the Syrian regime should answer for it," he wrote in the letter, which was released on Sunday. The 32-year-old doctor was captured in November last year after he entered Syria to work in a hospital. Inside Syria - Syria: A future as foreign as its fighters? 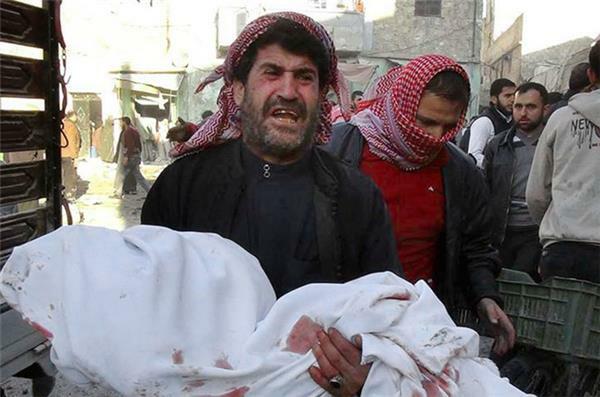 Syrian warplanes have killed more than 330 people in a nine-day bombing campaign, according to activists and medics. The campaign has seen airplanes drop barrels of TNT onto neighbourhoods in the northern city of Aleppo. The opposition National Coalition, a group calling for a regime change in Syria, said it will not attend planned peace talks if the bombing continues. "If countries cannot put pressure on the regime to stop these operations of destruction, how are they going to pressure the regime at Geneva 2 to obtain a political solution," said Badr Jamous, general coalition secretary. 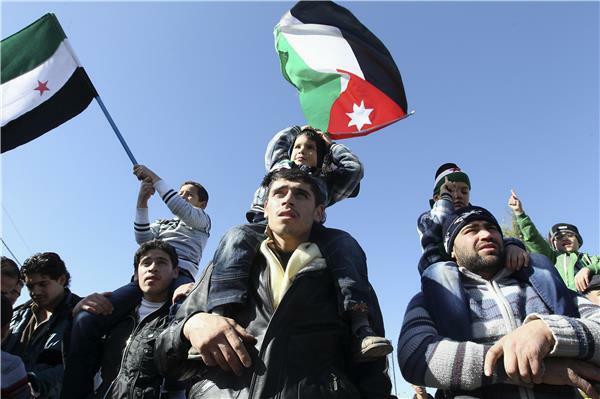 The Geneva 2 talks are aimed at negotiating a political transition to end the war. An estimated 126,000 people have died in Syria since March 2011 and millions of others have been forced to leave their homes. Throughout the course of this year, we have reported extensively on the plight of the Syrian refugees. Many of those living in makeshift shelters often find it hard to earn a decent living. Al Jazeera's Imran Khan revisits a refugee camp in northern Iraq to find out how some of them are coping. For hundreds of Christian families in Syria, who fled from Maalula to Damascus, Christmas is looking bleak. Residents of Maalula are among the millions of Syrians displaced by a war that shows no sign of ending, and what should be a joyful holiday season is instead the latest painful reminder of all that has been lost. "The most beautiful gift I could possibly receive for Christmas would be to return to Maalula," said Hneineh Taalab, who fled in early September after fighters entered the town. Some 1,200 Christians are among the estimated 126,000 people killed in the conflict, according to Greek Catholic Patriarch Gregorios Laham III. 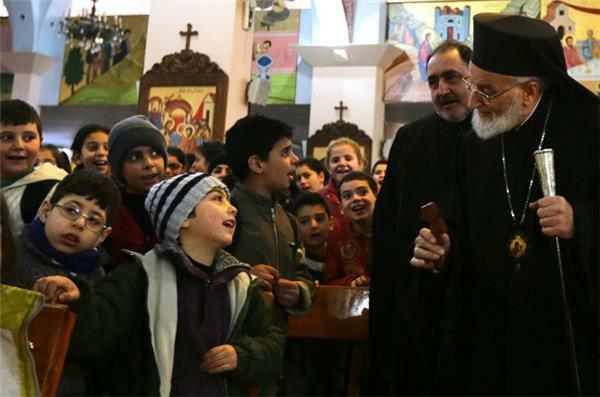 Laham visited refugees in a church in Damascus and said he will pray "for the return of love and hope" to Syria. Syrian government forces and opposition fighters have agreed to a 48-hour ceasefire in a suburb of Damascus to allow food to reach residents threatened with starvation. The fragile ceasefire began on Wednesday with the raising of a government flag on the town's tallest building, and if it holds until Friday, the army has said it will allow food in. Fighters from the opposition Free Syrian Army (FSA) took control of Mouadamiya, 10km southwest of the capital, last year and the Syrian government has been trying to win it back with a siege that has choked off food, medicine and fuel. Children have died from malnutrition in the town, and, with thousands of people facing starvation, some residents have resorted to eating leaves to survive. If the truce holds and the government provides access to food, the activist said, a broader agreement could be implemented which might include the rebels giving up heavy weapons. Mourners have gathered at a central London mosque for the funeral of a British doctor who died while in a Syrian prison earlier this month. Dr. Abbas Khan, a 32-year-old orthopedic surgeon, died just days before he was apparently due to be released from a Damascus prison after over a year in detention. "My brother, to us, was our star. His star shone on our family,'' his brother, Shahnawaz Khan, said at the funeral at the Regent's Park Mosque on Thursday. The Syrian government said Khan took his own life in his prison cell. 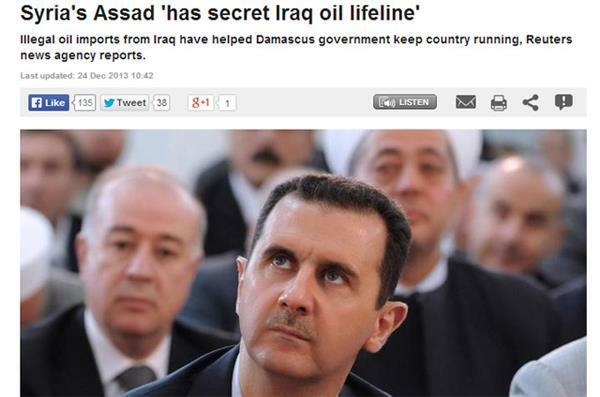 His family rejects the claim, however, and the British government holds the Syrian government responsible for his death. Khan was detained in Aleppo in November 2012 after he entered Syria to work in a hospital. His family was told of his death 10 days ago. Prime Minister David Cameron criticized the Syrian regime for its "despicable" treatment of Khan and its refusal to work with the British government to release him. "Abbas' death is a sickening and appalling tragedy, and it is right that the Syrian regime should answer for it,'' Cameron wrote to the Khan family in the letter, which was released on Sunday. Khan's family has criticized the British government for not doing more to secure Khan's release. An inquest into his death is scheduled to begin on Friday. The opposition Syrian National Coalition (SNC) has rejected an oil and gas exploration deal that the Syrian government signed with a Russian company, linking it to arms deals and saying that Russia "is an accomplice in the spilling of Syrian blood". The deal, signed on Wednesday, permits the exploration of an area of 2,190 square kilometers in the Mediterranean sea. 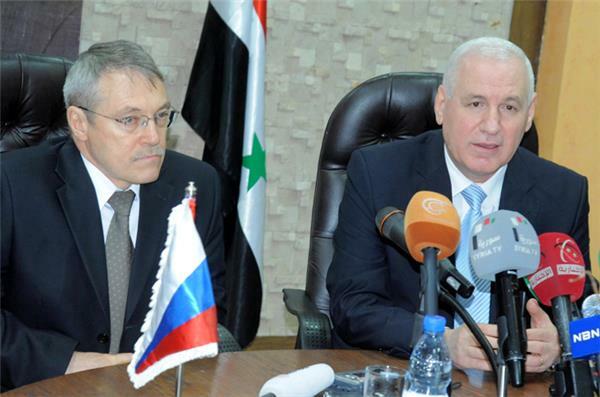 It was signed by Syrian Oil Minister Suleiman Abbas, Syria's General Petroleum Co. and the Russian Soyuzneftegaz company. "The Coalition condemns the signing of this deal, which aims to swap the riches of our homeland for Russian weapons destined to kill the Syrian people," an SNC statement said on Thursday. Abbas said during Wednesday's signing ceremony that the contract covers "25 years, over several phases," adding that "the cost of exploration and discovery is $100mn". The SNC statement continued: "The Russian firm agreeing one of the most important contracts in the region with the criminal regime while fighting rages unabated is proof that the Russian government has signed a deal to send more arms to kill Syrians."